First time we used GPS tracking during Nice Holidays and it was really worth to follow! Also elite runners made huge mistakes for 10 minutes and more and not only once per stage. Enjoy the best moments from the second and third stage in our quick edit. 25th Nice Holidays in Bohemian Paradise are over. We believe that you enjoyed wonderful terrains of Mala Skala area and you won a lot of great experience. Victory in elite classes took Zuzana Hermanová among women elite and Moritz Döllgast in men elite. We congratulate not only the winners but all runners which finished all challenging stages of Nice Holidays 2016. Nice Holidays 2017 will take place at Hrubá Skála area from August 26th to August 27th 2017. We would be very pleased if you come again to the Bohemian Paradise next year! You can replay GPS tracking from all stages and see that also elite runners are making huge mistakes in this tough and challenging sandstone terrain and you can watch our short movie from 1st and 2nd stage of Nice Holidays 2016. Thank you for coming! Selected runners will run Nice Holidays with GPS tracking units. On Friday classes D/H16 and on Saturday and Sunday classes D/H21E are running with GPS units. List of runners from selected classes running with GPS units is published below in this article. Please, do not forget to take your GPS device! GPS tracking can be followed on-line (links will be published on the competition website and Facebook page before start) and on the screen in the EC. We kindly ask all runners who did not run yet, do not follow GPS tracking. We believe in your fair-play. Dear orienteering friends, welcome to Malá Skála in Bohemian Paradise. Competition is now ready and we are just waiting for you. All necessary information you can find in the Final Bulletin. We also published startlist and course details. 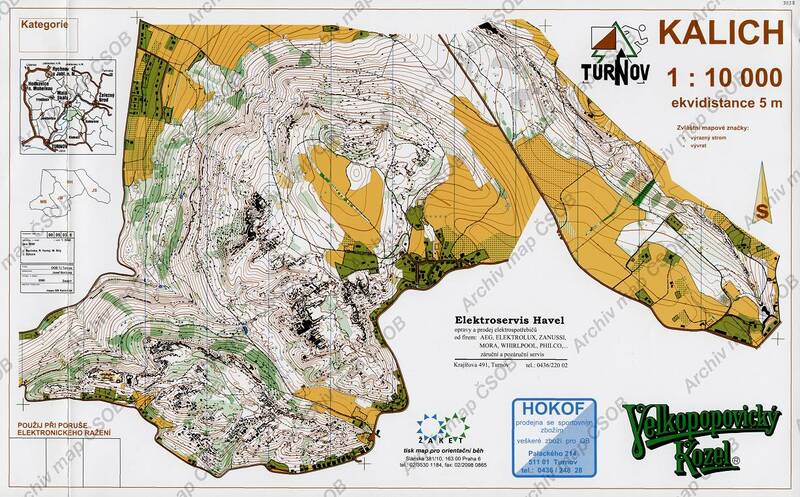 Maps and courses are ready and you can start looking forward to running them. You can also check the menu of our catering in the Event Centre and you can choose your meal. We are now moving to Malá Skála to build the arena for you, so we are now not responding to emails and no other email entries or cancellation are possible. If you have some change, you need to book the camp site or you need to pay entry fee, please come to the registration desk in the event office. Event office openes on Friday August 19th 2016 at 2 pm. We are very excited and we are looking forward to seeing you in Malá Skála! Suché skály ("Dry rocks") are prominent landmark of Malá Skála. You can visit them during the Nice Holidays weekend. It's almost a tradition of all competitions held in Bohemian Paradise. Due to open sandstone rocks all spike and grip shoes with metal spikes are strictly banned! It is really sad when you are running in this wonderful forest after some competition or training and you see scratched rocks made by orienteerers. And believe or not - it is visible! Please respect this rule, it'll be strictly checked in prestart areas and nobody in shoes with metal spikes will be allowed to enter the forest! Were you among substitutes? Check your entry now! At midnight yesterday deadline for entries and changes ran out. Entry system is now closed. We checked all entries, payments and changes in the entry system. And also we have taken care of all changes delivered by email until July 31st. Please check your entry and payment in the updated list of entries. If you were among substitutes and your entry is now white - you are entered to the competition! (Substitutes are yellow.) If you cannot participate anymore, please cancel your entry by email as soon as possible. Now only cancellations are possible! You can cancel your entry by email prihlasky(at)tur.cz. Until August 11th, 10 pm. is cancellation free of charge. Until August 16th, 10 pm. we will seek redress one third of paid entry fee. After August 16th, 10 pm. no entry fees are returned. Kalich: Brand new map for 1st and 3rd stage. You can get ready for "sandstones atmosphere" with map samples of brand new map Kalich. Kalich area will host 1st and 3rd stage of Nice Holidays 2016. New map is made by Josef Borůvka and Petr Uher. On Friday you can expect it in 1:7500 for the technical middle distance, on Sunday shortened long distance will close this years Nice Holidays program. Limit filled, entries are closed! Unbelievable becomes reality! All places in the limit of 1200 competitors were „sold out“ very quickly again. We registered over 1000 entries just one minute after the entry system opened. We cannot offer more places, we have to be glad that we can let 1200 competitors run in such beautiful and attractive area. We really appreciate you interest in our competition and we will try to organize very „Nice holidays“! Only to runners correctly entered in ORIS entry system we can now guarantee that they can start. Personal data of your entry (SI number, class) can be edited directly in ORIS in term of entries until July 31st 2016. Runners entered as substitutes (yellow marked) should check the entry system and only if they move among correctly entered runners they can send the entry fee and participate in the race. Please, do not send us entry fee if you are among substitutes. Dear competitors, we really appreciate your interest in Nice holidays competition. However only first 1300 competitors can join our event, this year in Malá Skála, Bohemian Paradise. We published Bulletin 1 with Program, where you can find all necessary information. Below you can find answers for other Frequently asked questions asked by participants from abroad. Samples of the terrain (old maps). For competition we prepare 3 brand new maps of these areas. we would like to invite you again to Bohemian Paradise for a Nice Holidays 2016. 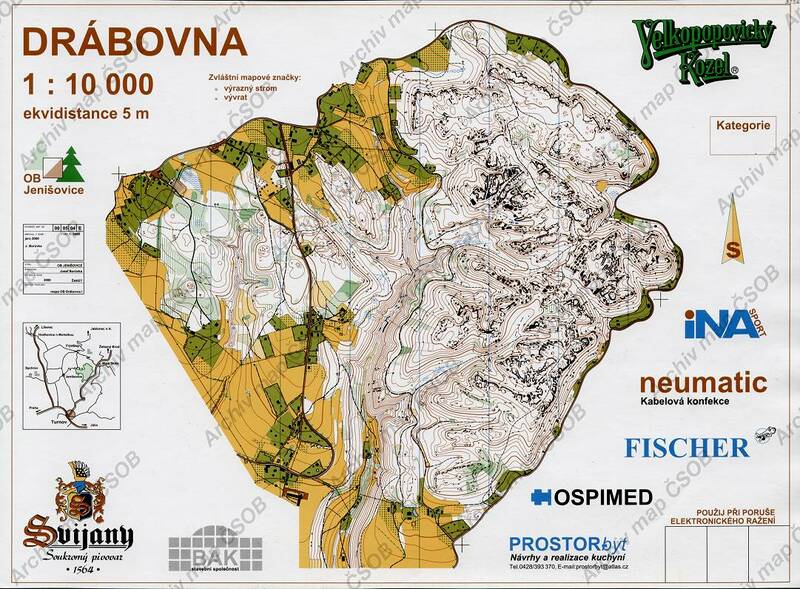 Traditional 3-days orienteering competition will be held this year from August 19th to 21st 2016 in Malá Skála. You can expect 3 stages in the most beautiful unique sandstone terrains in the Bohemian Paradise, where we can organise the competitions only once every four years. First and third stage of Nice Holidays will host Kalich area. It consists of Sokol peak (563 m), Chléviště and Zbirohy sandstone "rock towns" and steep slopes with sandstone rocks and boulders. See the old map. 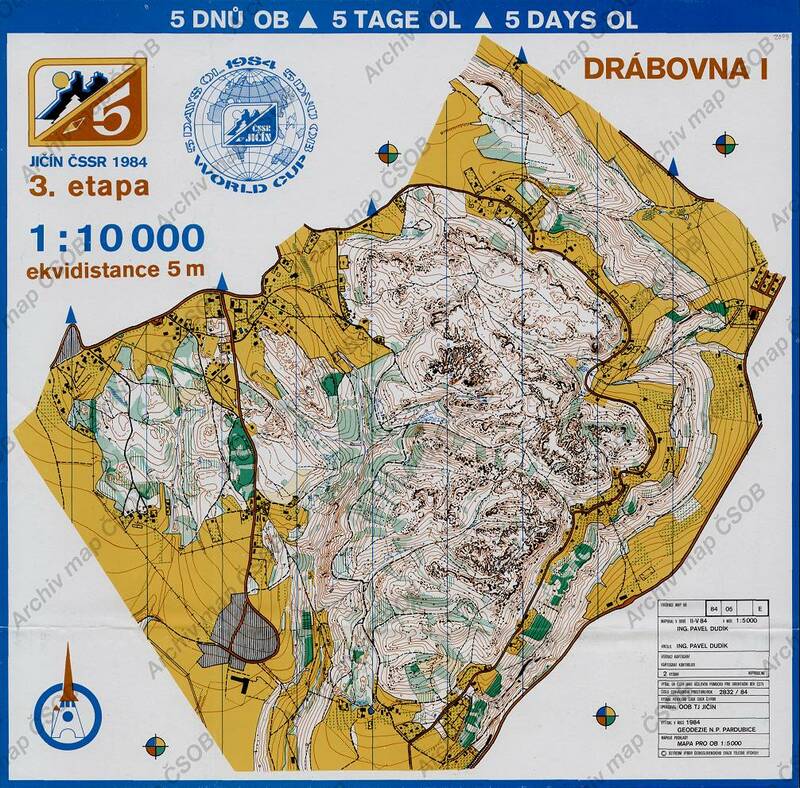 Second stage (middle distance) will be held at Drábovna map - rather small, but very unique sandstone area full of rocks, passages, boulders, deep valleys and stony slopes. The area hosted 5-days orienteering with World Cup in 1984, Czech Cup middle distance in 2000 and Nice Holidays 2007 and 2012. Now we are ready to organise here Nice Holidays 2016. 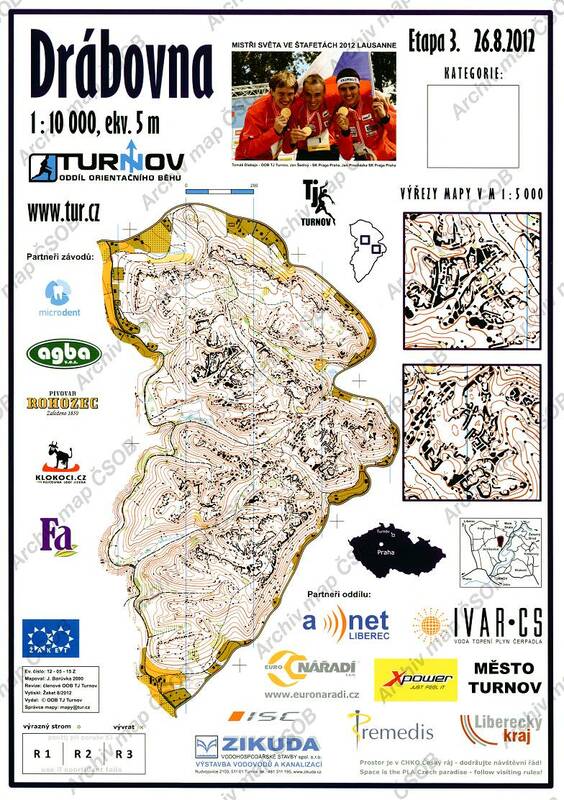 Come and spend your holiday with orienteering in Malá Skála, it will be the Nice Holidays! Entries are limited by Protected landscape area Bohemian Paradise to 1200 runners only! You can entry only via ORIS entry system. It will be opened during spring 2016 and the date of entries will be announced in advance. Please follow our webpage and facebook for more information. Last years the Nice Holidays were always sold out in few minutes.